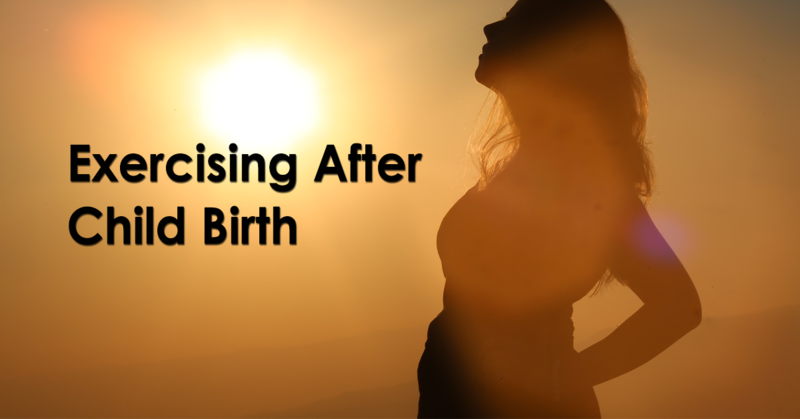 As per American College of Obstetricians and Gynecologists, after pregnancy, it is okay to gradually resume exercising as soon as you get a go ahead from your doctor or midwife, and as long as you feel up for it. If you had a normal uncomplicated delivery, you may start exercising in just a few days. Exercises like walking, modified push-ups and stretching can be done. If you have had a complicated delivery or a C-section, then you would require to allow proper time for your body to heal. Post healing, you can consult your doctor and start with mild exercises. You can start doing Kegel Exercises as soon as possible. This will help you deal with incontinence. Starting physical activity after pregnancy totally depends on how active you were during your pregnancy and how smoothly your child-birth went. Do not force yourself to do exercises. Be guided by how you feel and how much energy you have. A person who had normal delivery may feel different from the woman who had a C-section. Whatever be your circumstances, keep it gentle. Hormones during pregnancy and breast-feeding can affect joints for several months after child-birth. Be careful and do not do high-impact activities soon. As soon as your strength returns, you can extend your walking routine by speed and take long walks. But whenever you feel a bit tired, sit back and relax. With Cesarean birth, 6 Weeks’s time is needed for healing. During this while, you can start with light walks, and can start working out after consulting your gynecologist.